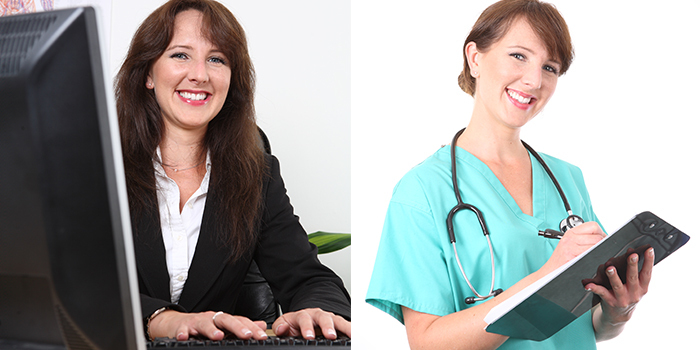 Which Degree is Right for You: BSN or Bachelor of Healthcare Management? If clinical nursing has lost its luster, you may find it hard to get enthused about going back to college to earn your BSN – but what other choice do you have, right? It’s true a BSN opens the door to advanced practice, but spending the time and money on another nursing degree can feel like a waste of effort if you find the idea of a desk job more appealing at this stage of your career. Do you really need to get a BSN in order to advance up the administrative ladder? You may be surprised to learn you have options beyond the BSN for achieving career success as a nurse. Try these strategies to decide what bachelors degree program is best for you, based on where your career interests lie. If you envision yourself providing advanced care to patients throughout the rest of your career, then the BSN degree is right for you. A flexible, affordable online RN-BSN program like the one offered by Madison School of Healthcare provides you with the foundation you’ll need to get a master’s in nursing at some point. The BSN also may be required by your state or employer within the next decade, so if you feel strongly about remaining in clinical practice, pursuing your bachelors degree makes the most sense – and the sooner, the better. If you’ve grown tired of clinical nursing and find it appealing to picture yourself in a high-paying administrative position, then an online Bachelor of Healthcare Management program is right for you. Coupled with your RN license, a degree in healthcare management might make you the ideal candidate for interesting non-clinical jobs like operations manager for a medical technology company or regional director for a chain of dialysis clinics. Bonus: Many of these jobs pay in excess of six figures and only require a bachelors degree! The Bachelor of Healthcare Management also makes an excellent choice for nurses who can no longer perform the physical functions of the job or who have become disabled due to nursing. If you still love clinical nursing but also can envision yourself finishing your career behind a desk, then a BSN degree makes the most sense for you. It’s the ideal educational foundation for nurses who want to hedge their bets about what the future holds because it positions you to pursue an advanced nursing degree or to go for a master’s in healthcare administration at a later date. A BSN sets you up for future educational success no matter where your career path leads. Talk to an advisor today to explore all of your educational options as a nurse. We can help you decide which degree program best fits your interests and future career plans. Then, whether you choose the online RN-BSN program or the online healthcare management degree program, you can enroll today and get started on this exciting new chapter in your life! Learn more about the healthcare degree programs for nurses at the Madison School of Healthcare: Talk to an admissions advisor today!